SAN DIEGO COUNTY – Everyone can play a role in fighting childhood obesity. 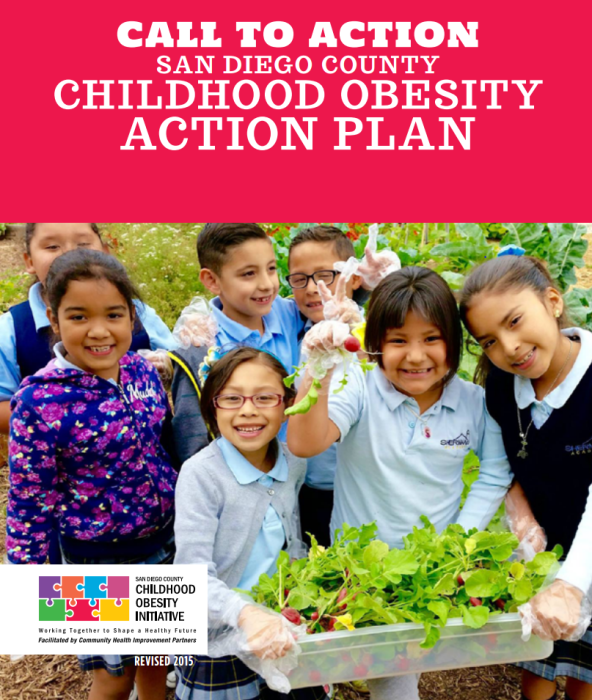 On Sept. Sept. 4, the San Diego County Childhood Obesity Initiative released its updated Call to Action: Childhood Obesity Action Plan, highlighting what everyone can do to make sure children’s waistlines shrink. In its plan, the initiative, a public-private partnership that aims to promote healthy choices through policy, systems and environmental change, outlines more than 100 strategies for the region to strengthen the local efforts to reduce childhood obesity. The plan was released to coincide with National Childhood Obesity Awareness Month. The strategies all focus on policy and environmental changes intended to make a healthy choice the easy choice in seven settings, including government, businesses and schools. In the U.S., childhood obesity has more than doubled in children and quadrupled in adolescents in the past 30 years, according to the Centers for Disease Control and Prevention. According to the most recent study available for San Diego County, childhood obesity fell from 35.8 percent in 2005 to 34.5 percent in 2010, a 3.7 percent change. This drop was higher than the rates of reduction in all other Southern California counties and also higher than the statewide rate of reduction of 1.1 percent. Now in its ninth year, the Childhood Obesity Initiative is working with partners from multiple sectors and is at the forefront of implementing innovative policies and practices that are helping to curb childhood obesity. Core funding for the initiative is provided by the County of San Diego, First 5 San Diego and Kaiser Permanente. The goals of the San Diego County Childhood Obesity Initiative align with Live Well San Diego, the county’s vision for healthy, safe and thriving communities. While no comprehensive study on childhood obesity in San Diego County has been done recently, local health officials believe the obesity rate in children has remained steady or is declining. To read the action plan, click here. contact Cheryl Moder at (858-609-7961) or cmoder@sdchip.org.